Combine a tour of lively La Serena with neighboring Coquimbo on this 4-hour tour, including hotel pick-up. 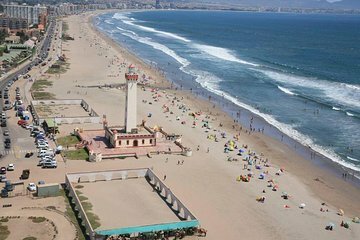 Admire La Serena landmarks like the Monumental Lighthouse; step back in time at the Archaeological Museum; then browse for handicrafts at the vibrant Recova Market, one of the most famous in Chile. Then, head to Coquimbo to walk the seafront promenade, soak up the views across Guayacán bay and stroll the beaches of La Herradura.